“We are making so many positive changes, it was important to us that our name and brand reflect our commitment to property improvements and to delivering an unparalleled gaming experience. 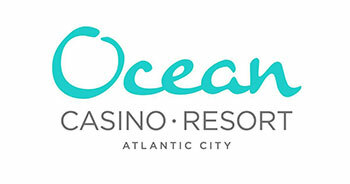 We have changed the name to Ocean Casino Resort because we are dedicated to putting the casino customer first. We are focused on creating tangible, meaningful incentives for our casino customers that are best in class,” said Mike Donovan, Chief Marketing Officer and Senior Vice President, Ocean Casino Resort. Although Ocean Casino Resort’s logo and name has changed, there is no need to sign-up for a new players club card and your earnings and comps will remain. Ocean will soon be announcing more benefits. Stay tuned. Customers will quickly see it’s a whole new energy at Ocean Casino Resort and all the excitement that it has to offer. More announcements to come!